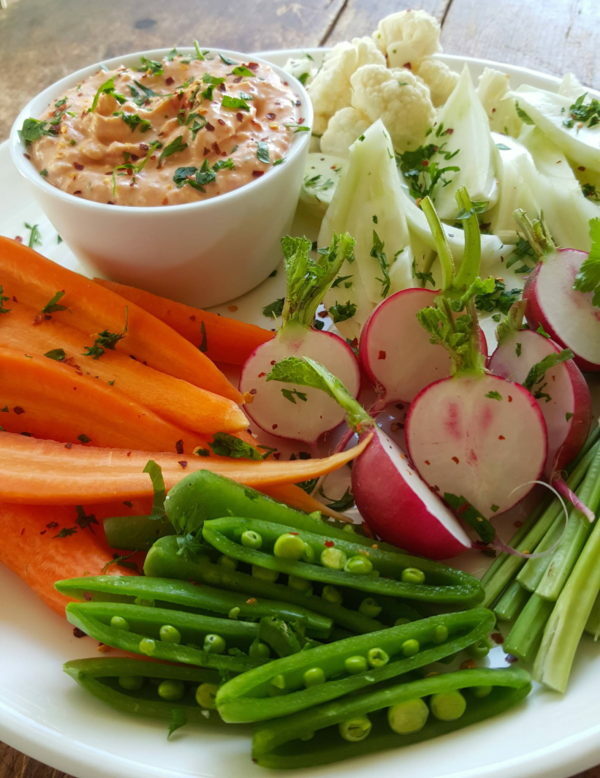 Yes, carrot and celery sticks and chunky slices of red and yellow pepper work a treat with this dip, but I love it with fennel, sugar snaps, cauliflower and radish. Cucumber wedges, asparagus spears and witloof leaves also go well. It’s absolutely addictive. We've been eating it for years and it is still one of our favourites. 1 Char-grill pepper by placing it in the flames of a gas element, or over a barbecue grill. When completely blackened, transfer it to a plate and cover with paper towels. Cool. Slip off blackened skin (easily done with paper towels), cut pepper in half and remove core and seeds. 2 Whiz pepper with feta, rosemary (don’t be over-generous with the rosemary as it can dominate), garlic and lemon juice in a food processor until smooth, adding a little hot water, or juices from the pepper to make it creamy. 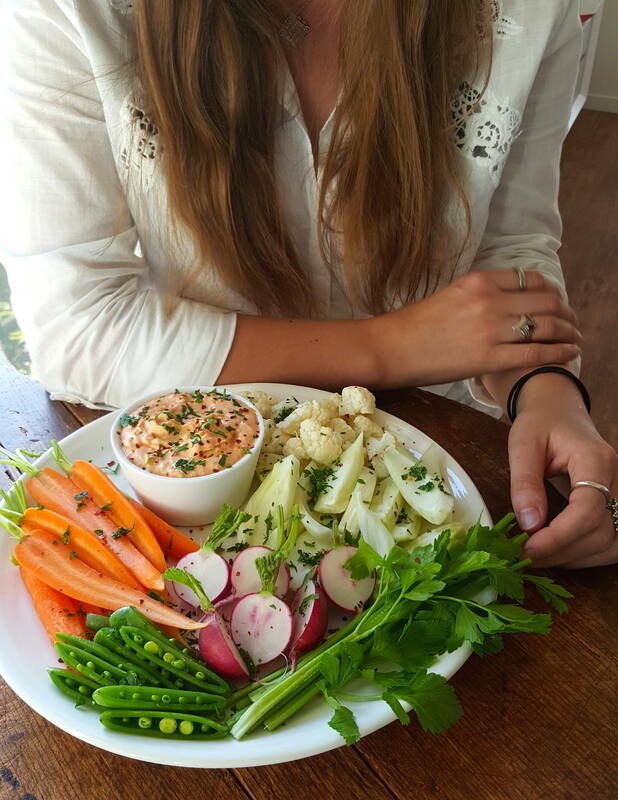 Transfer to a bowl, sprinkle with chilli flakes and a little chopped parsley and serve with fresh raw vegetables.